The ready availability of low-interest-rate financing for new aircraft has seen the average age of airplanes retired for parts decline precipitously, keeping companies specializing in so-called teardowns busier than ever. Meanwhile, major and relatively rapid improvements in fuel efficiency promised by the world’s big airliner manufacturers and engine makers only promise to accelerate the trend, as operators tend to limit lease terms in anticipation of replacing their fleets with more efficient new models. But whether or not one considers the trend positive depends on one's perspective. Of course, OEMs like more demand for new airplanes, and airlines benefit from less need to commit to costly heavy maintenance events and, potentially, lower cost for parts. However, it also might mean faster devaluation of airplanes and tighter profit margins for companies that deal in the resale of aftermarket components. The situation has left Mike Cazaz, CEO of Mahwah, New Jersey-based Werner Aero Services, somewhat conflicted, but still optimistic about the future prospects for businesses such as his. Cazaz, whose company most recently bought an Airbus A321 previously operated by Transasia of Taiwan, explained that an overabundance of aftermarket parts has resulted from the ever-faster pace of aircraft retirements. Even in developing countries, where much of Werner’s business resides, demand for used airplanes has declined, not only because of the availability of “cheap” money, but because of regulations that limit the age of the airplanes their operators may import. 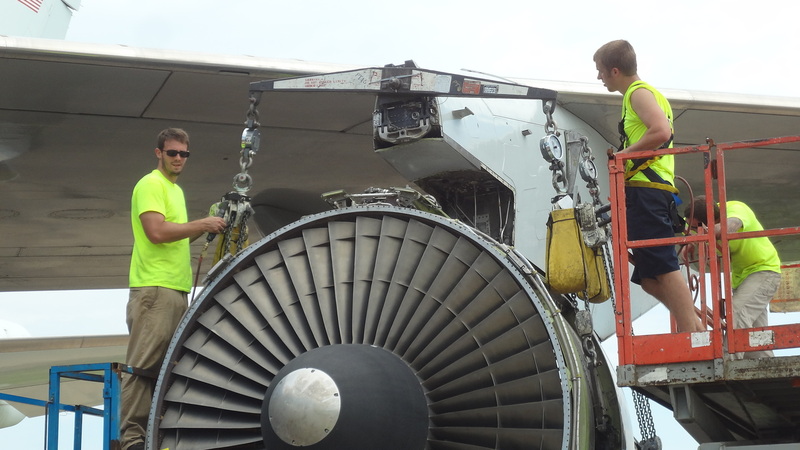 Tim Zemanovic, CEO of Burnsville, Minnesota-based Aircraft Demolition and a board member at the Aircraft Fleet Recycling Association (AFRA), agreed that a surplus of newer-model airplanes has developed recently, largely because the prices haven’t yet come down to match demand. “The last six months or so the sellers of the aircraft have had a premium price on their airplanes,” he said. “It has been tough to acquire stuff, in my opinion, at a price that would work.” Eventually, he said, sellers will need to lower their prices by as much as 20 percent to clear the surplus. Yet another variable—a ready supply of counterfeit parts and fly-by-night dealers—also suppresses the value of the components legitimate businesses sell and lease, and Cazaz lamented the lack of oversight the Federal Aviation Administration exercises over the industry. He said the problem has become even more acute in the U.S. than in Western Europe, where regulations are stricter and more tightly enforced.